Our homes depend more and more on electricity, with each room arranged around different types of appliances or equipment. However, many properties simply aren’t built with enough sockets, which is why cumbersome extension cables are a familiar sight. If this sounds like your home, or you have recently added an extension, AC Electrical Services is ideally placed to provide an affordable solution. With more than two decades of domestic experience, we can ensure your home is equipped with the optimum number and type of power sockets. 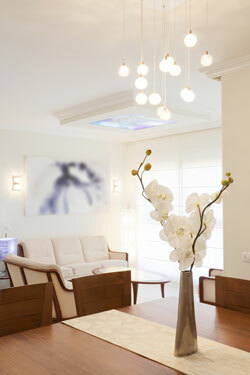 We can also give you expert guidance on extra lighting for your home. Whether you would like to upgrade your current lighting to something more modern, or bring more light to a gloomy corner, we can provide a stylish solution for less. Talk to a friendly expert about your power or lighting requirements. I have used this company on more than one occasion. Always turns up when arranged and completes all works in a timely manor. Gave great design advice and ideas for new kitchen lighting.